1. 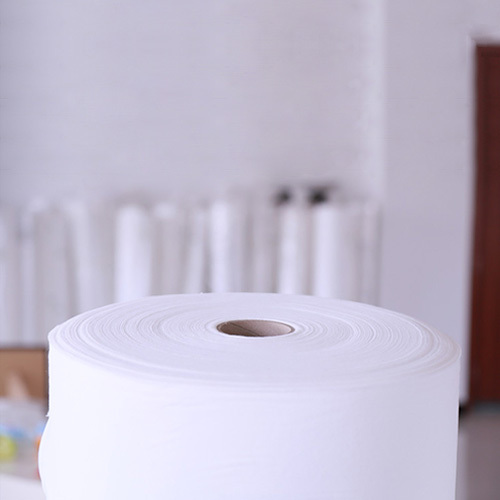 Highly absorbent spunlace non woven polyester fabric. 2. 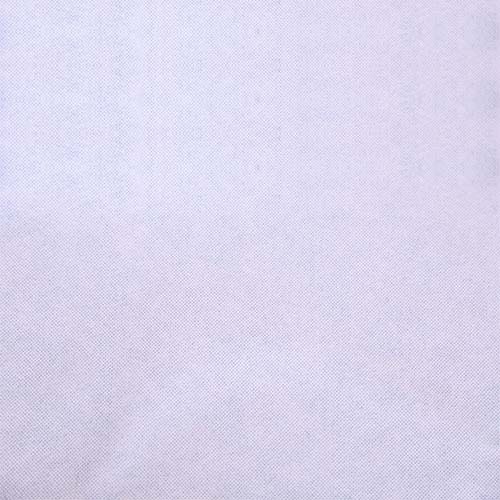 Made from viscose and polyester, strong when wet. 3. 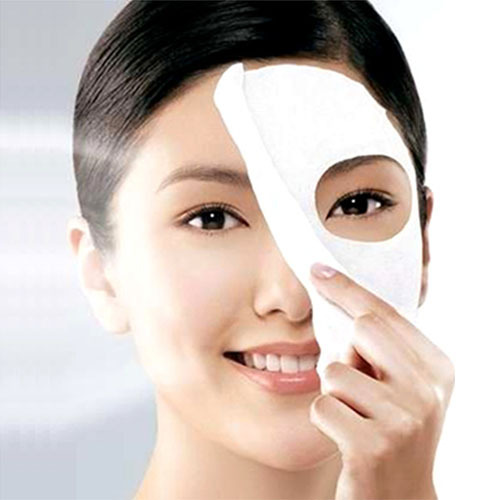 Flat facial mask fabric with soft handle, excellent tensile strength. 4. Able to absorb and keep the mask's essence. 5. 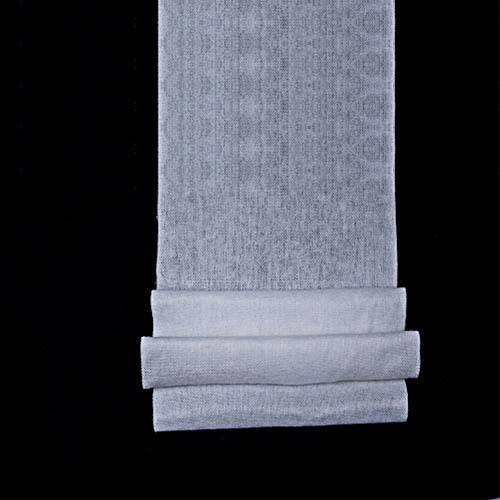 Anti-bacterial, breathable spunlace nonwoven for making facial masks. This spunlace non woven polyester fabric is of soft handle, excellent tensile strength, able to absorb and keep the mask's essence. 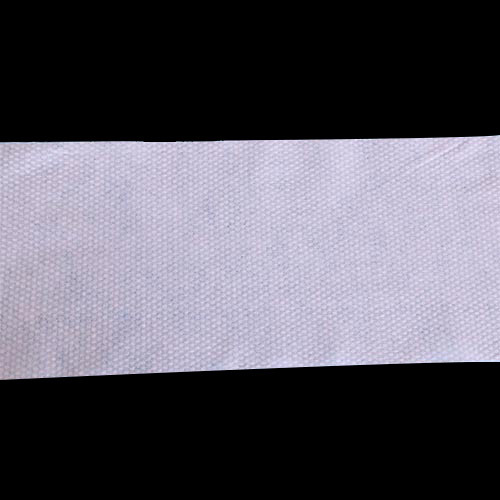 It's one of the best anti-bacterial and breathable spunlace nonwoven fabrics for making facial masks, which is widely used in many cosmetic areas. 1. It is super soft. Once you unpack the aluminum foil bag, take out the mask and apply onto face, instantly you will feel a trace of refreshing softness just as the tender touch of mother's hand. 2. It is highly absorbent. 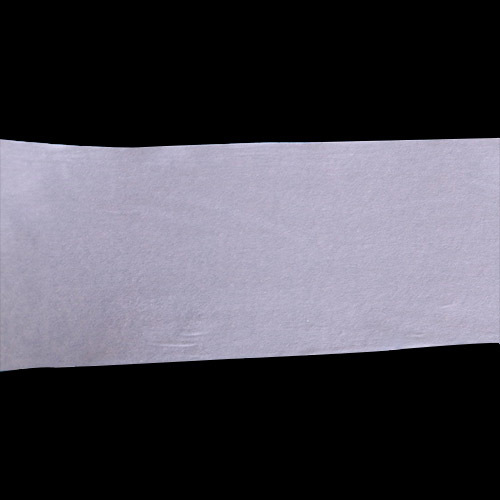 During the process of applying face film wipe, you don't need to worry that the liquid essence streams down from the spunlace nonwoven fabric sheet as it is of high water-absorbing ability. 3. It is non-irritating. Some ladies may have ever suffered from an allergy after applying a facial mask which is made of irritating essence and ungraded facial mask fabrics. 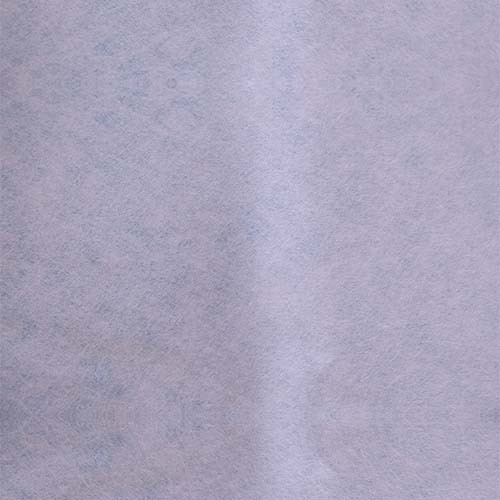 However, this spunlace non woven polyester fabric has been verified by actual application cases which confirms that it is non-irritating and free of any harmful substance to skin. 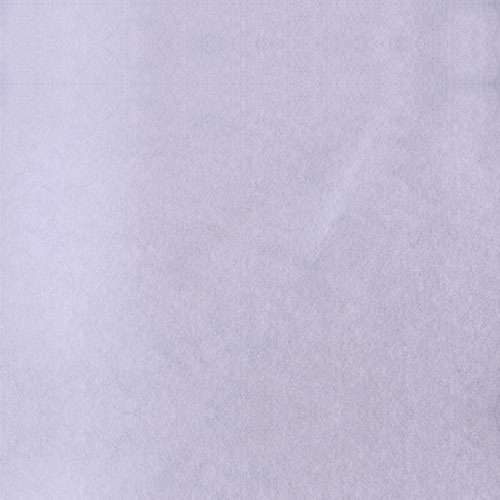 Anhui Golden Spring Non-Woven Co., Ltd.
Anhui Golden Spring Non-Woven Co., Ltd. is a leading spunlace non woven fabric cloth manufacturer and supplier in China, specializing in the R&D, production and sales of spunlace non-woven fabrics. It was established on July 21, 2011 with a registered capital of 68 million Yuan. Located in Chuzhou City, Anhui Province, it covers an area of 200,000 square meters, with 8 international advanced spunlace production lines. It was listed on the New Third Board on December 25, 2015 (stock code: 835140). 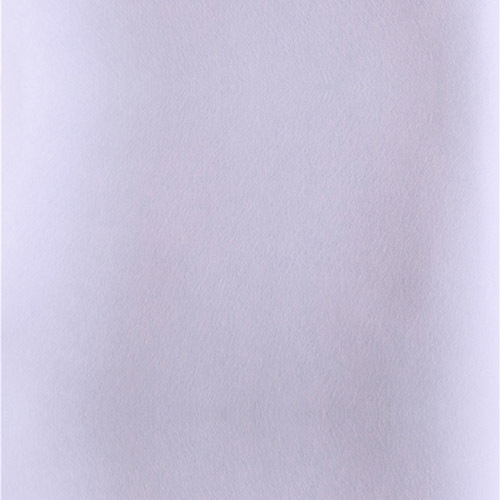 At present, the brand of Golden Spring is well-known in China, and the company has become one of the top producers and a fast-rising star of the nonwovens industry, due to its world-class production line, strict quality management system, good quality products and increasing brand recognition. Its products are sold well in Southeast Asia, South America, Europe and other regions, and its exports account for one-third of its annual output. 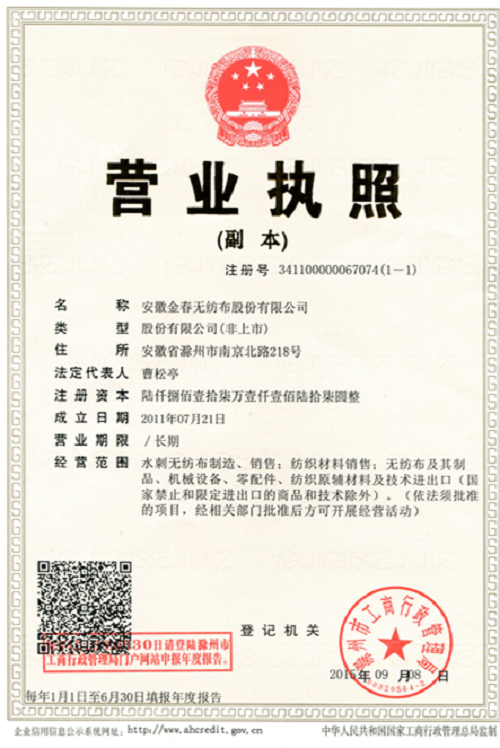 To : Anhui Golden Spring Non-Woven Co., Ltd.
@ Copyright 2019 Winliner. All Rights Reserved.